Mario goes all Pulp Fiction, Duck Hunt went gruesomely wrong, and the Angry Birds unleashes their monstrous rage on more than pigs in G4TV.com's G4 Films Epictober Film Festival. In the spirit of Halloween, G4 Films Epictober Film Festival was released by G4TV.com this week. Celebrating Halloween by blending classic video games and the macabre ambiance of the festival, the online event will present a trilogy of short film depicting a dark take on three classic video games, namely: Nintendo's Duck Hunt, Mario Kart, and finally, Rovio's Angry Birds. 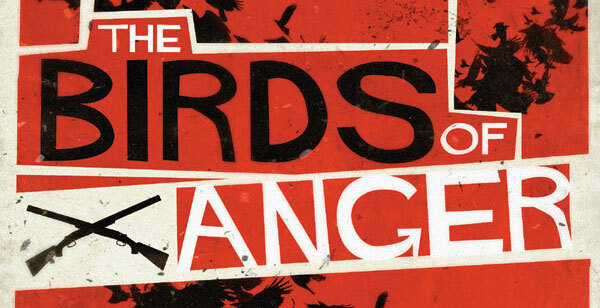 With all three short films released, we have collected them right here. Hit the jump to check them out. "Kart Driver": Directed by Drew Daywalt and co-written by your favorite Feed writer/ evil nemesis Stephen Johnson, “Kart Driver” will give the legendary racing game "Mario Kart" a darker, deadlier spin. Fury and obsession leads a heroic plumber to seek out and bring home his damsel in distress, even if it means facing off with a creature from the very bowels of hell. Director Drew Daywalt is a founding member of FEWDIO, the world’s first online Horror Troupe, and Daywalt Fear Factory. Daywalt directed feature Stark Raving Mad and three episodes of the new MTV Horror-comedy television series “Death Valley.” He also recently completed the screenplay for the remake of “Children Shouldn’t Play With Dead Things” for George Romero. 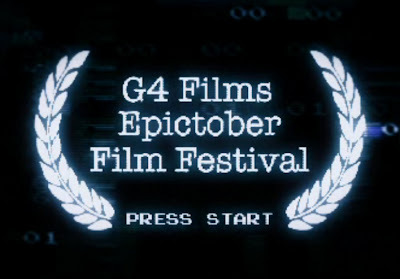 “Kart Driver” is the "Centerpiece Showcase" for G4 Films Epictober Film Festival and will debut on G4tv.com October 25.